Is a name change the best way out of a crisis? From Dreamworld to Samsung, in this guest post, Principals director, Sandy Belford, discusses the case for and against companies changing their names following a public crisis. When a brand finds itself in the midst of a crisis, there are numerous ways to get past it. One of the more drastic is a name change. Changing identity is one thing, but when you change a brand name you’re basically saying the business is becoming something different. It is the most extreme thing you can do to signal a major shift in who you are and what you do. As long as you actually deliver something different, a name change is an effective way of moving beyond a crisis. However, if you are just trying to look different and not fundamentally changing what you offer or how you offer it, that’s another story altogether. If you are changing name to make it look as if you’re changing, when you haven’t, that’s a problem. There are plenty of examples of brands changing their name amid controversy, but it’s often difficult to see whether there was an underlying meaningful change driving the shift. There certainly was for Papua New Guinea’s airlines, PNG. The airline embarked on a rebrand in 2015 to signal the start of a new era and shake a troubled history. From a business strategy perspective, the organisation was already on a path to meaningful change, changing ownership, becoming locally owned, buying new aircraft, introducing new staff and transforming processes and standards. The rebrand was a product of that change rather than the driver. 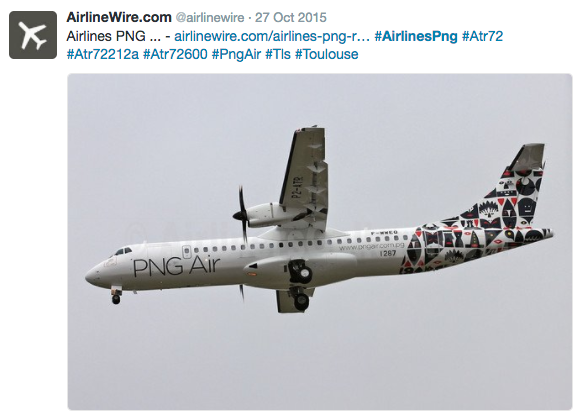 The airline changed its name to PNG Air – a subtle but meaningful shift – with a new logo, dramatic new aircraft livery and uniforms the most outward facing signs of change. However, what was going on behind the scenes was the real indicator of meaningful change. Not every name change has such a positive story behind it. In 2015, the company responsible for garrison and welfare services at Nauru and Manus Island detention centres, Transfield Services, changed its name to Broadspectrum. The change was orchestrated by Transfield Holdings, the former parent company of Transfield Services after owner, Luca Belgiorno-Nettis, was forced to step down as chairman of Sydney’s Biennale arts festival over controversy to do with the detention centres. While the name change reportedly had nothing to do with Transfield distancing itself from alleged human rights violations and was instead caused by an “unfortunate coincidence of events”, the timing suggests otherwise. Timing is certainly key when it comes to name changes and a well-timed move can help brands avoid potential crisis. Just ask Andersen Consulting, or as you may know know them, Accenture. In 2000, Andersen Consulting was deemed a legally separate entity from public accounting firm Arthur Andersen and was ordered to change its name. The business became Accenture and, as Ad Age’s Rance Crain noted, “people lined up to deride the new moniker”. It would, however, turn out to be a stroke of luck when later that year Arthur Andersen was embroiled in the Enron scandal. Ad Age’s Crain wrote in 2002 that the title of marketer of the year should go to “the arbitrator who forced Andersen Consulting to change its name” effectively ensuring the business wasn’t tied to the tarnished Arthur Andersen image. 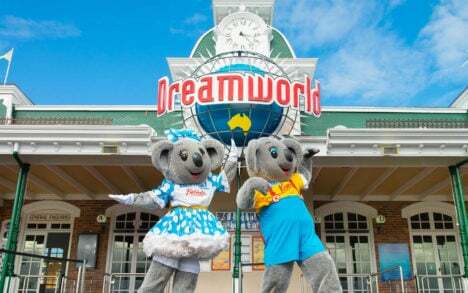 A brand closer to home that is surely discussing crisis recovery strategies is theme park Dreamworld which reopened recently. 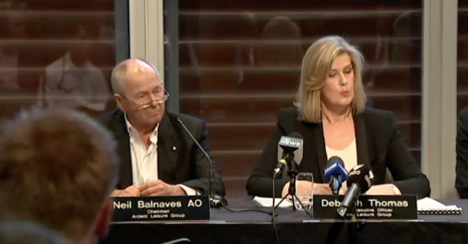 At its AGM, Ardent Leisure, the parent company of Dreamworld, voted to change its name to Main Event. Some would argue Dreamworld would be wise to follow suit. I would advise against it. It is too soon after the tragedy and such a move would only appear reactive. For the business to return to its former glory, everyone within the organisation from the CEO to the 16-year-old cashier at the kiosk needs to be on the same page and reflect brand standards including safety and reassurance. If Dreamworld was to take a broom to the board as investors are calling for, if it was to appoint a new management team, retrain all of its staff, go through its safety procedures to the most rigorous degree and then rebrand with a new name, that would mean something. It would reflect a change to the way the theme park does business. Anything less would rightly raise eyebrows and invite criticism. Still, brands don’t necessarily need to change their names to recover from a crisis. Sometimes it is better to ride it out. In 2010 the Deepwater Horizon oil spill, which saw 11 workers killed and an estimated 205 million gallons of oil spilt into the Gulf of Mexico, did such enormous damage to the BP brand, few thought it could recover. Yet two years after the fact, according to Forbes, the business was “booming”. More recently we’ve seen the Volkswagen emissions scandal which is estimated to have lost the business US$10 billion in brand value. No-one is expecting a name change there any time soon. And many are watching Samsung with great interest after the Galaxy Note 7 recall, which has seen the brand plummet from first to 32nd place in the YouGov Brand Index in the category of mobile operators and handsets. Obviously, Samsung is not going to change its name but the title ‘Galaxy Note 7’ isn’t going to survive. Of course, a name change is not the only tool in the branding arsenal that can be used to come back from a crisis. I would invite the organisation to embark on a plan to ensure that it delivers meaningful change to its audiences, and look to develop a new communication strategy based on what it has done to address the problem. Essentially, most brands would be better off demonstrating what they’ve done to effect change rather than changing their name. Sandy Belford is a director at independent branding agency Principals. Many commentators are far too quick to call for a name change in the wake of a reputational crisis. There was widespread speculation (especially in the USA) that Toyota would have to change its name after their massive car recall, but within a year they had regained their position as the worlds biggest automaker Similarly so-called experts said Malaysian Airlines would have to change its name after its twin disasters. But again they were wrong and the airline is slowly recovering its position. As Sandy Belford rightly says, a name change post-crisis needs to be for very clear strategic reasons, not just a knee-jerk reaction. 1. Brand name reach and equity (how long it’s been around and how many people know the brand). 2. How complicit the brand was in the event.